A year after launching its eBilling offering, eThekwini Municipality based in Durban, South Africa, now boasts increased efficiency and a 99% bill delivery rate. In September 2009, eThekwini appointed Striata, a leading provider of email bill presentment and payment solutions to bring eBilling to its customers. The media has highlighted the ongoing billing issues of many SA municipalities resulting in an inundation of customer complaints. eThekwini Municipality, is however an exception. 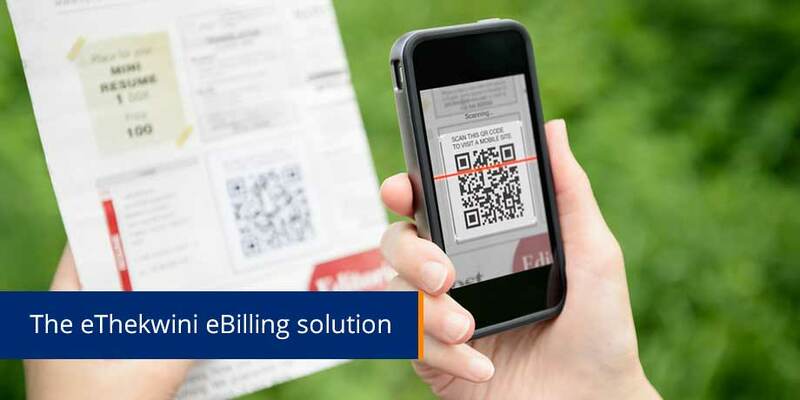 Leading by example after successfully implementing Striata’s eBilling Solution, eThekwini Municipality provides its customers with an easier option to access and pay their bills. Since introducing eBilling, eThekweni has experienced a 99% bill delivery rate, as well as improved efficiency and reduced bill distribution costs. The reduced costs were achieved by changing the delivery method from traditional snail mail to email delivery. This move provided convenience to the customer & cut the bill delivery time from five days to one day. The Municipality has cut its administration costs because fewer bills are being posted, freeing up funds for more services to be provided to the community. Furthermore a link to the EasyPay payment system gives customers a convenient payment option. “Striata assisted eThekwini to drive adoption through SMS campaigns and an outbound call center campaign, which ensured quality and high integrity of data, ultimately resulting in the 99% delivery rate it has achieved. The cost of implementing the eBilling solution was recovered in a few months due to the cost savings achieved through turning off the paper,” explains Alison Treadaway, Director, Striata. “eThekwini has made it really easy for rate payers to opt-in to eBilling. Simply go here to provide your account details, your preferred email address and the Municipality will send future bills by email,” concludes Treadaway.